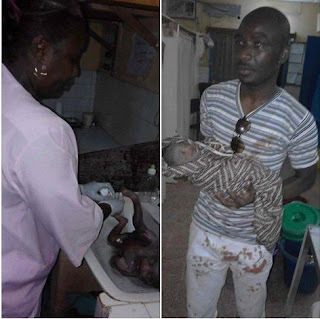 According to reliable reports, this man found this baby in a dry hole after being packed in a black bag and abandoned by his parents in Cameroon. The man picked up the baby who is aged less than two weeks after hearing his cry and rushed him to a hospital within the region. The baby is currently in good condition and in perfect health -all thanks to the unknown Saviour.